I am surrounded by amazing blogs, and I am inspired everyday by something new I see on food blogs from around the world. It was the inspiration I found here on Anel’s blog that made me go out and get a spoon mould and make some hot chocolate spoons. Swirled into an espresso mug of hot milk you get the perfect adult after dinner or before bed treat. 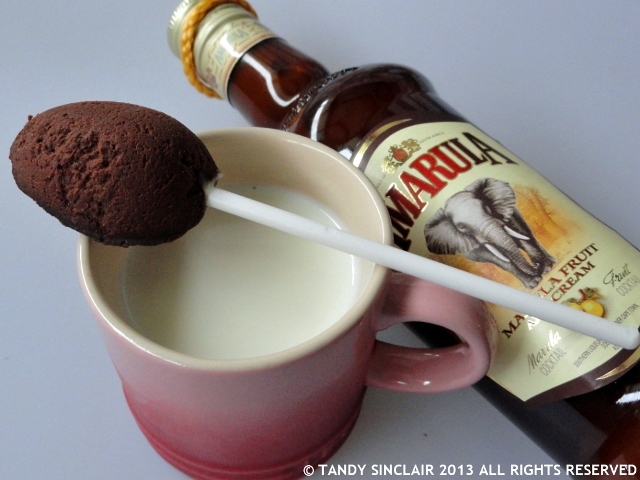 The Amarula spoons on Anel’s blog would definitely inspire me to give her a bottle of Amarula. I would package the bottle with a few of my Amarula hot chocolate spoons so that she too could enjoy a mug of my treat. Disclosure: I was sent a 200ml bottle of Amarula as my agreement to take part in this competition. This post is in line with my blogging policy. Hot chocolate spoons are just so addictive and festive! Yum! What a great drink –yum! Thanks for posting Tandy. What a fun idea for drinks! Such an awesome idea!! I’ll have to try this once it gets a bit cooler here! You are so creative! I must make this today! 🙂 Yummmm! They look excellent, not something I could have, but I suppose I could just alter the amount of cream instead of the Amarula?